Gas and Electric Fireplaces, Wood Mantels, Cast Stone Mantel, Refacing the Wood Burning Fireplace | Toronto Comfort Zone Inc. Whether you are looking for a wood or cast-stone Mantel for your electric or gas fireplace, our Toronto fireplace specialists provide a high quality solution to meet your needs. With a wide range of sizes, accents and colors, in both traditional and contemporary styles, our products are ideal for homes, condos, condo lobbies, restaurants, and hotels of any size. Come visit our newly renovated showroom in midtown Toronto and talk to our experts, or simply browse our website to get an idea of the products we offer. 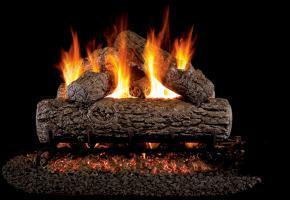 Pick up one of the beautifully designed gas log sets and enjoy the warmth and ambiance of dancing flames and glowing embers . Logs are made in different styles to satisfy everybody and for those who like modern styles , there are lots of choices from diamond nuggets to fyre glass or rocks . 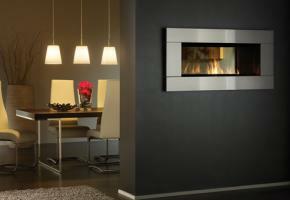 We can help you by adding texture, color and warmth to your existing fireplace. 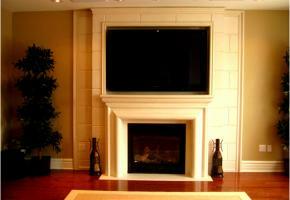 Either you want to install a surface mantel with granite, marble or other kind of stone around it, or make a stone wall and install your TV on top of the fireplace, or you simply have a photo of a fireplace that you like; feel free to talk to our experts and take the first step to bring your dream fireplace into your home. When it comes to safety we follow the rules and regulations to make sure our client's home is secure. All installation and maintenance will be performed by fully licensed staff who have the knowledge and experience in all of our products. So if there is any problem in your heating or cooling system, you are just a phone call away from getting it right.